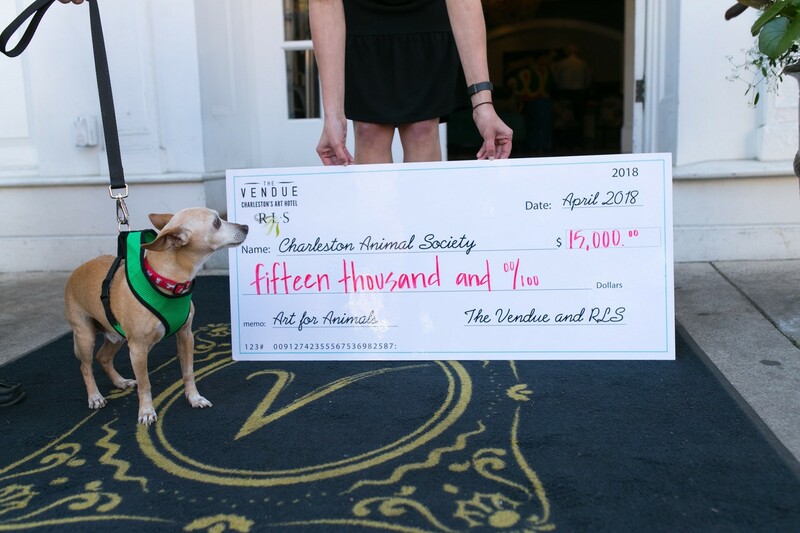 APRIL 16, 2018 (Charleston, SC) – Last Thursday, The Vendue and Robert Lange Studios gave 15,000 dollars to Charleston Animal Society after donating and matching proceeds from art sales during The Vendue’s latest art exhibition, “Cats versus Dogs”. The Director of Art at The Vendue, Emily Rigsby, and Robert Lange Studios collaborate throughout the year to curate two to three rotating art exhibits in the public areas of the hotel, located at 19 Vendue Range. The most recent exhibit featured various works from forty artists from around the world dominated by the theme “cat” or “dog” based on whether they identify as a “cat person” or a “dog person” in a tongue-in-cheek competition to finally determine the better species. A percentage of the art sold in “Cats versus Dogs” exhibition, totaled $7,051, which The Vendue agreed to match. At the last minute, Jon Weitz then challenged Robert and Megan Lange to raise the contribution to $7,500 each, which made the total donation an even $15,000. 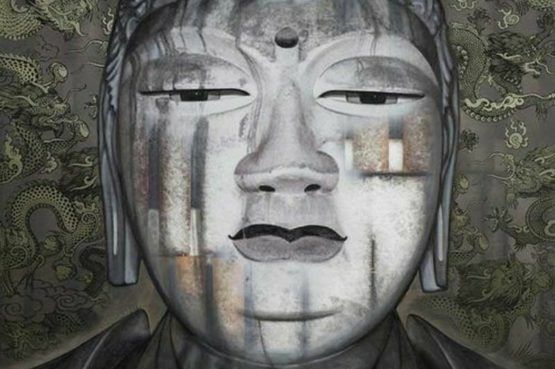 “Art and philanthropy go hand in hand. There is an abundance of joy when you know an exhibit of fantastic artists will help fuel a heartwarming cause. We’ve known Kay Hyman and her incredible dedication to animals for many years; I can think of no greater cause to begin the philanthropic side to The Vendue’s art program,” said Robert Lange, artist and owner of Robert Lange Studios. 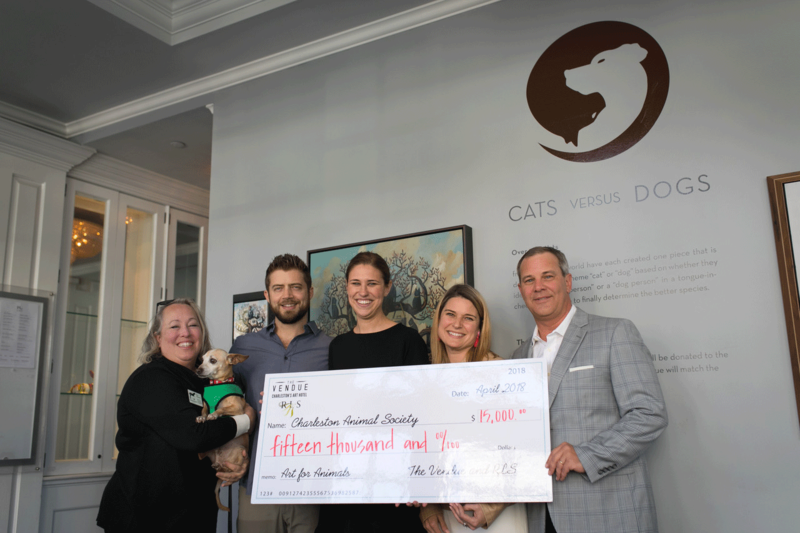 “We are extremely grateful to The Vendue, Robert Lange Studios and the amazing artists who were part of the “Cats versus Dogs”. 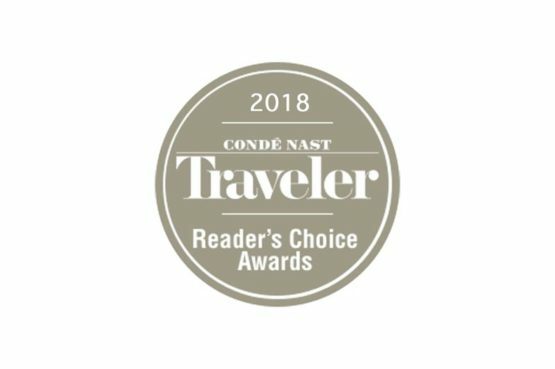 Their donation comes at an extremely important time, because Charleston Animal Society just returned from deploying our veterinarians and cruelty investigator to assist the U.S. Marshals, the FBI, Columbia area law enforcement and the ASPCA in investigating a Midlands dog fighting ring that rescued more than 30 dogs. 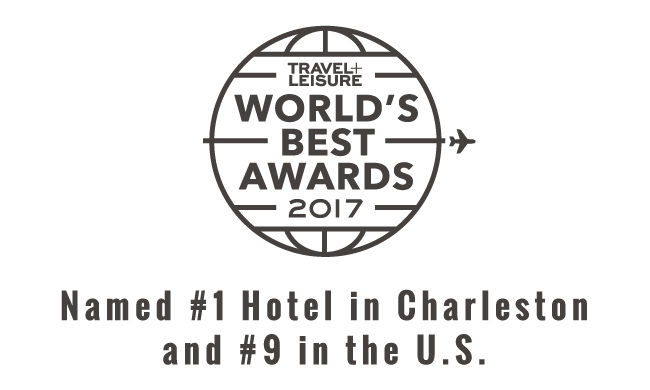 Without our business partnerships and support of our community, we would not be able to save so many animals,” stated Joe Elmore, Charleston Animal Society CEO. The exhibit “Cats versus Dogs” will come to a close next week, as The Vendue prepares for their new exhibit “Recipe”, which opens Thursday, April 19. The new exhibit will feature 30 artists expressing palate through palette.